I am the shell of something interesting. My front is very eye catching but my inside tells all. What am I ? 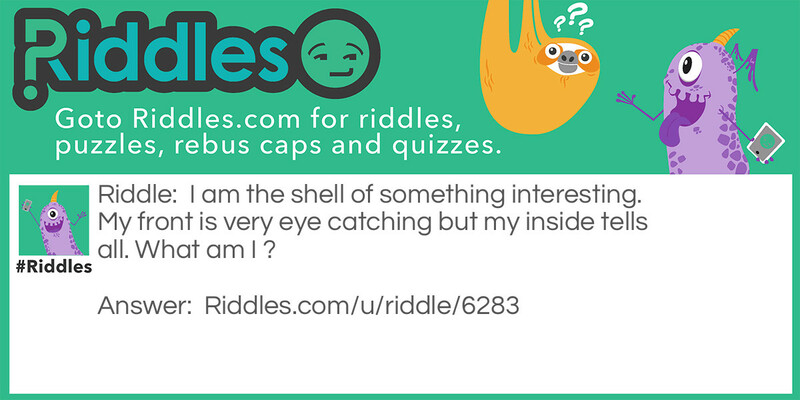 My first riddle 626 Riddle Meme with riddle and answer page link.